​​​​World Tea Expo is the leading tradeshow and conference focused 100% on premium teas and related products. Blending fresh ideas, the latest trends and new distribution channels with three days of focused buying, selling and education, World Tea Expo is your chance to capitalize on this growing category to the fullest. hot and iced coffees and teas, seasonal products and our soups, sauces, seasonings and gravy mixes. To partner with Boyd’s, call us at 1-800-545-4077 or write to info@boyds.com (Subject: NRA Member Inquiry). 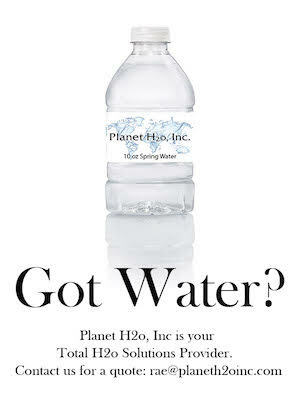 Planet H20, Inc is a wholesaler of custom logo bottled water. They are the best choice for building your private label line of bottled water. They offer a variety of sizes and variations of bottled water. They have a state of the art equipment in vertically integrated manufactured facilities results in the highest quality product at the most reasonable price. Their talented graphic design team will assist you with setting yourself apart from the crowd with a custom product label design. They work with you, offering multiple design options. Their team offers in-house product development and custom packaging for their customers, continually creating innovative products and packaging solutions. Planet H20 utilizes state-of-the-art production facilities and a continued dedication to outstanding customer service. Planet H20 is excited to offer $150 off to NvRA members! To learn more and start making your own water bottles today contact us at 702-567-0029 or click here to go directly to the website.